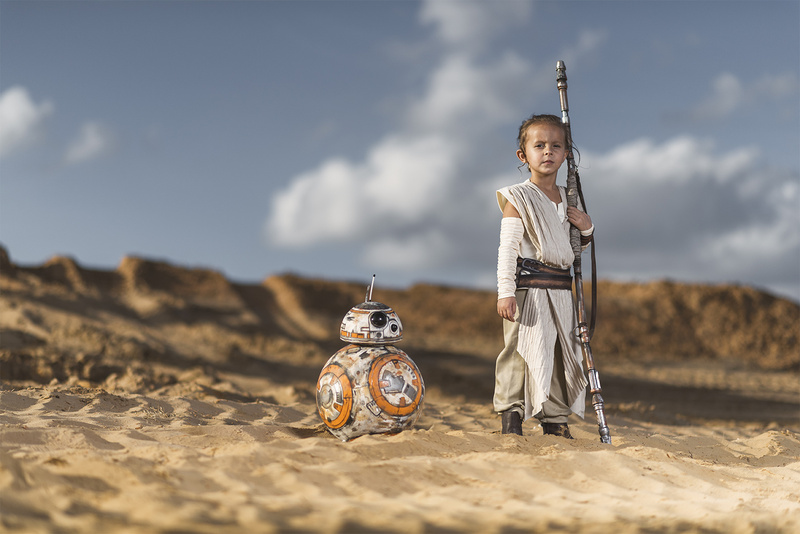 My 3yr old daughter dressed up like her favorite hero Rey from Star Wars the Force Awakens. One of the hardest parts was acquiring a costume that was her size. I spent most of new year's eve painting a toy BB-8 I purchased from a toy store a few weeks back. On new year's day I took her to a construction site and we started taking pictures. I used an interfit studio strobe on full power and a Westcott Halo light diffuser. This is one of many images that came out awesome from the shoot. I will be posting more once they are processed! Very cool and creative image. Congratulations!